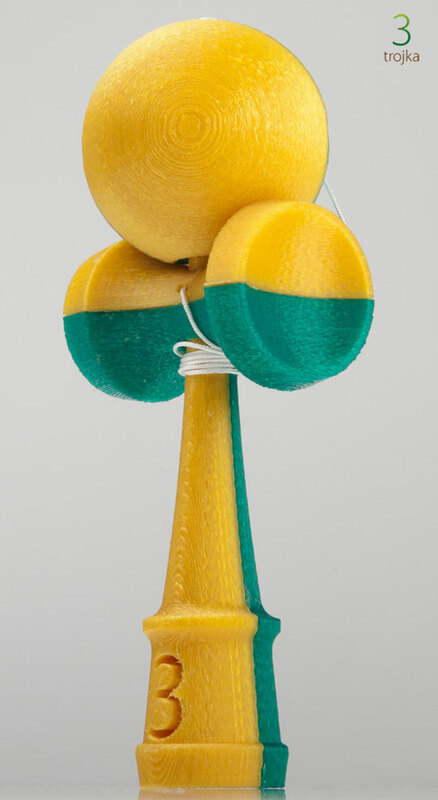 Trojka PLAstic is first fully function 3D printed kendama. It is made of bio degradable material PLA. Printing time of this kendama is 11 hours with additional gluing. Weight of this kendama is 120g. Trojka kendama printing capacity is 3 pieces per week so buying of this kendama is pre-order only. After payment your kendama will be printed and send it to you within a week. Trojka can print you different color kendama as will. If you would like some give us know in the order note. Available printing colors are: gold, green and pink so far.